Central London pawnbrokers, Hopkins and Jones, has a long history of taking good care of the precious items that are left with them in return for secure fixed loan lending, but they reveal that there’s more to pawnbroking than diamonds and pearls. While only 4% of the UK’s adult population use a pawnbroking service, this figure includes more women than men. Pawnbroking is one of the oldest forms of money lending in the world, so it’s not surprising that there are many great human stories behind the loans. Pawnbroking is a financially sound and secure way to borrow money, leveraging items of value when you need a cash flow injection quickly. Jewellery, including rings and watches, are commonly used to secure fixed price loans but Hopkins and Jones have had some very interesting items in their care over the years. “We treat our customers’ loan propositions with the respect they deserve. We look at every element of what they are offering and will make a sound and valued loan offer based on what we see. Some items attract a loan because of the quality of their brand, while others are valued for their rarity”, states Kris Parish of Hopkins and Jones. Typically, borrowers have had to turn to banks when they experience an issue for cash flow, but – since the financial crash of 2008 – it has proved increasingly more difficult to secure a short-term loan to help people bridge a financial gap. The financial crisis is also responsible for the upturn in self-led businesses, which can bring with them good earning potential but also unpredictable payment terms. Fixed term pawnbroking loans can help smooth over the cracks in cash flows. Most pawnbroking customers have assets behind them and are supported by wealth but accessing these funds at short notice can prove difficult at times. Using an item of value can help clients to increase cash flow just in time to pay school fees or to take care of an unpredictable vehicle. Reasons behind loans can extend from securing some spending money for the holiday of a lifetime to simply making sure that an electricity bill can be paid. Kris explains, “Pawnbrokers are increasingly fulfilling the role of the traditional high street bank manager. Customers used to be able to make an appointment with their manager to discuss any financial issues, however with the dramatic rise in online banking, it’s likely that most people find themselves without a named person to talk to at their bank. At Hopkins and Jones, we enjoy working with our clients to help them secure the loan that they need. We’re delighted when they come to see us with an item for loan but we’re just as pleased when they return to redeem their item again. Hopkins and Jones is a Pawnbrokers based in central London at 7 William IV Street, London WC2N 4DW. Call for a free quote 0207 379 7080. Pawnbroking is proving to be the go-to solution for short term loans, without having to result to sky-high payday loans or unregulated lenders. The concept behind pawnbroking is simple – and it has been working for borrowers for hundreds if not thousands of years. Central London pawnbrokers, Hopkins and Jones, take us through the simple loan process. A borrower ‘pledges’ an item of value for a set period of time. There are no restrictions on what the borrower can pledge and the pawnbroker will work with the borrower to help them get the best from their item. If the loan cannot be paid at the end of the loan period, the item is sold by the pawnbroker on behalf of the customer. Any excess earnings, after interest and the loan amount have been repaid, are returned to the borrower. Securing short term loans, in a world where banks are increasingly tricky to connect with, can be unregulated and expensive. However, pawnbroking is the option open to everyone regardless of their credit rating. Kris Parish of Hopkins and Jones issues advice to those considering the pawnbroking option, “A reputable pawnbrokers will be a member of the National Pawnbrokers’ Association (NPA) and so governed by their Code of Conduct. At Hopkins and Jones, not only are we members of the NPA, but we’re also regulated by the Financial Conduct Authority (FCA) which ensures that we act with propriety with and on behalf of our clients”. Pawnbrokers are not immune from the pressures of business, with increasingly strict regulations seeing some businesses pulling out of the pawnbroking industry as a result. Businesses with a licence to offer credit to customers required reauthorisation by the Financial Conduct Authority, a long and arduous process. Before reauthorisation, the NPA had more than 200 members yet now there are only 150. This underlines the tight pawnbroking community in the UK, with a combined loan book of £700m. Pawnbrokers are also under the watchful eye of the Financial Ombudsman Service, which last year recorded only a handful of complaints of which only a small percent were upheld, suggesting a high level of satisfaction amongst pawnbroking borrowers. Luxury watches, an asset that can be used as security for a pawnbroking loan. The Patek Philippe Twenty-4 takes inspiration from the Art Deco era with designs that feature typically Cubist outlines – yet the Swiss watch makers adds a dash of style and finesse by adding a diamond set finish to each and every Twenty-4 watch. The Twenty–4 comes in a choice of metal casings – silver stainless steel, warming 18ct rose or bright white gold. With the Twenty-4’s face peppered with the twinkle of tiny diamonds, they also feature on both the bezel and the case. The crown of each Twenty-4 is studded with an onyx or a diamond solitaire. Designed to be functional and comfortable enough to be worn all day, every day, the Patek Philippe Twenty-4 is complemented by a line of matching jewellery, in the form of rings and earrings. echo the watch’s collection, forming a sophisticated ensemble that will compliment every taste. For those looking for something equally gorgeous but a little bit more unusual, then the 4920 model may prove utterly tantalising. Relying on the same quartz movement as the other Twenty 4 models, the 4920 gets really interesting when it comes to the case, dial and strap. The case is set with 34 diamonds, that together add up to over two thirds of a diamond carat. The ‘Chocolate Dream’ dial is set in a rose gold case and features diamond hour markers, gold applied Roman numerals and is finished with a crown set diamond. For those seeking the ultimate in comfort and opulence, the 4920 encases the wearer’s wrist with two sumptuous chocolate brown strap. Although many high-end watches are created to keep the time at all times, it’s not always practical to wear such stunning timepieces on your wrist and they can be kept for special functions or occasions. The Patek Philippe 24 has broken the mould and claimed its place as the beautiful time keeper that can be worn for any occasion and all day long. The stainless steel model sports a quartz movement to ensure precision timekeeping while the case is set with 36 diamonds, amounting to almost half a carat. The ‘Forever Black’ dial is dotted with diamond hour markers and gold applied Roman numerals, given a classic Art Deco feel. The steel bracelet is closed with a fold-over clasp and is practical. The watch is not only stunning and opulent to wear on the wrist, but it – like all Patek Philippe watches – represents the ultimate in timepiece design and craftsmanship. With smoothly functioning quartz movements, the Twenty-4 is water resistant to 30 metres. When the pawnbrokers end clients money, the value of the items is something that has to be found. One of the sources that we at Hopkins and Jones at our central London based pawnbroking store use to verify prices is the auction results. The results not only give an indication of prices but can give many an interesting story. All eyes were watching Geneva Watch Auctions over the weekend of the 13/14 May – and Geneva certainly did not disappoint. Not only were the prices achieved sky high but the time pieces sold really were one of a kind. Just what is it about the ‘Bao Dai’ watch that is so remarkable it fetched $5 million, making it Rolex’s most expensive watch ever sold at auction. The ‘Bao Dai’ is remarkable because it belonged to the last emperor of Vietnam, Bao Dai himself. As Phillips Geneva’s spring season kicks off, the ‘Bao Dai’ watch has not only made history but is also a very important piece of cultural collateral. In Geneva for peace talks to help bring about a resolution for the Vietnam war, Bao Dai bought the Rolex which was – in turn – purchased by an unidentified phone bidder in 2017 in a bidding war which lasted a mere eight minutes. The outcome of the peace talks – the Geneva Accords – which were issued in July 1954, set out many terms for Vietnam, including the demarcation line that ran along the 17th Parallel. So, it’s not only its price, its owner or its circumstance of purchase that makes the ‘Bao Dai’ so important to time piece history, but the watch itself is one of the rarest Rolexes in existence. The ‘Bao Dai’ is rare because it is only one of three black-dial models with diamond hour markers that is known to exist. It’s incredibly to think that not only one watch that belonged to an emperor went under the hammer this May, but at least two. A Patek Phillipe watch that was once worn on the wrist of Ethiopian Emperor, Haile Selassie, fetched $2.9 million at auction Christie’s, Geneva. The 18-carat gold Patek Philippe, ref. 2497, with perpetual moonphase calendar had previously been up for auction in 2015, yet things had not run so smoothly on that occasion. Primed and ready for auction back in 2015, Christie’s had to halt the sale of the timepiece when a collective of Ethiopian-Americans who were working with Selassie’s grandson demanded it be returned to his descendants. 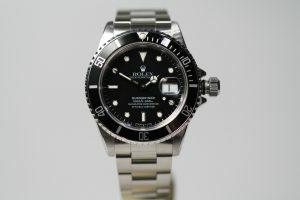 The dispute ran for over a year, before being resolved at the end of December 2016, when a court ruled that the original consignor possesses all rights to offer the watch at auction. June’s Geneva auction at Christie’s will include some of the most fabulous Cartier pieces ever made. A rare private collection of Cartier jewellery, watches and objets d’art put together by Eric Nussbaum will be up for purchase. Eric Nussbaum joined the Cartier company in 1969 and – after almost fifteen years later – he was asked to create The Cartier Collection. The Cartier Collection filled Nussbaum’s life for twenty years as he collected some of the brand’s most important pieces, bringing them together for Cartier. Among the stunning pieces of jewellery, including tiaras that belonged to royalty and specially commissioned one-off pieces, are some simply stunning timepieces. Included in the auction is the limited-edition ‘Crash’ wristwatch, created in Cartier in 1991. The asymmetrical cream dial with black painted Roman numerals includes a secret Cartier signature at 7 o’clock and boasts blued steel hands and a sapphire-set crown. Capturing the zeitgeist of 1960’s London pop culture, the Crash is one of Cartier’s most iconic pieces. The design came into creation when a client requested Cartier to repair a watch that had been warped in a car accident. Instead of repairing the warp, Cartier worked with the defect to produce what has become one of today’s most sought-after models. Two worlds collided with the creation of the dual-time Tank Cintrée. Inspired by the tanks at the Western Front, this model of the Tank features two dials that allows the adventurer to read two time zones in the blink of an eye. The horror of World War I met the glamourous era of international travel and is forever recorded with the dual-time timepiece. The Breitling brand has been producing stunning timepieces for over 130 years and the brand is responsible for some of the most precise timing devices ever created. Working out of his workshop in the Jura mountains, Léon Breitling focused on making very intricate and complex watches that pushed the boundaries of timekeeping precision. Within 10 years of getting the brand up and running, Léon’s success meant that the company had to move into bigger premises, transferring to a factory in 1892. Léon Breitling continued to make watches and chronographs until his death in 1914, leaving the business to his son, Gaston. Gaston continued the work of his late father – although his time at the helm was tragically short. Gaston developed and produced the Breitling chronograph, which was popular among the military and police forces during World War I. Gaston’s death, shortly after the Armistice, rendered the Breitling brand leaderless and it was a long, lost five years before Gaston’s son, Willy, stepped into the leadership role. Willy was able to pick up where both his father and grandfather had left off, making the most of opportunities within aviation. Taking a fresh approach as to where Breitling watches could be used, Willy secured a contract to provide Breitling watches to the British Air Ministry. The Breitling watches featured several timing and conversion rulers that made them invaluable to pilots, who needed to generate in-flight calculations for distance, speed and fuel, among others. The development of the slide rule bezel made Breitling watches not only instantly recognisable, but endlessly practical. Willy’s move into aviation proved to be inspired, with Breitling watches becoming the must-have time piece of the skies. With a starring role on the wrists of the British Royal Air Force, the Breitling brand began to be adopted by commercial pilots too. However, Breitling’s reach didn’t stop there. Working with Lt. Commander Scott Carpenter on the Mercury Atlas 7 mission, Breitling adapted the Breitling Navitimer to replace the standard twelve hour clock with a twenty-four hour one. This gave more meaning to time as – in space – the normal Circadian rhythm is null and void. With the introduction of the Breitling Chronomat in 1969, it’s easy to believe that the brand’s future was secured. 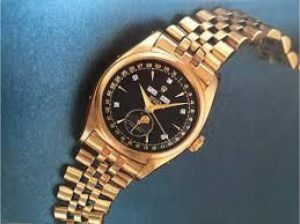 Although Breitling had developed the world’s first self-winding chronograph, in the Chronomat, the emergence of quartz movements damaged Breitling’s star. By 1979, Willy Breitling had been forced to close the company. Enter Ernest Schneider, a pilot turned watchmaker, who managed where Willy Breitling had failed. Schneider was able to harness quartz technology and developed watches featuring a traditional handset alongside digital displays. This made the Breitling as easy choice for the aviators who made it their watch of choice. Models, including the Breitling Jupiter, Breitling Pluton and Breitling Mars, were developed through consultation of aviation professionals and pilots and led the way for the subsequent Breitling B-1, Breitling Aerospace and Breitling Emergency. Hopkins and Jones a central London based jewellers and pawnbrokers offer loans on Breitling watches. There’s often a fine line between treating yourself to something very special and making an investment for the future. Increasingly, the fine line is blurring until you find yourself in the enviable position of being able to do both. When we think on investments, thoughts often turn to bricks and mortar – yet the complications that come with property investment may see you risk more than you’re actually prepared to. The really clever money is placed on investments that can stand the test of time, weather turbulent economies and can bring you the ultimate in joy too. Patek Philippe watches currently represent some of the best investment opportunities around. Based in Geneva and with their focus clearly on pushing the boundaries of chronology, Patek Philippe builds their watches to last down through the generations. It’s the superlative levels of engineering excellence and design that are commanding Patek Philippe auction prices that are – quite frankly – out of this world. Patek Philippe’s innovative approach to the development of their watches has resulted in some mind-blowing auction successes – recently hitting £9 million at auction. The Patek Phillipe 1518 doesn’t come dripping with diamonds or boast elegant, intricate straps, but what makes stand out from other watches is that it was made from stainless steel in 1943, some three decades before Patek Philippe fully committed to working with stainless steel. With only four ever made, the Patek Philippe captures a moment in time when the Swiss watch brand was driving innovation and demanding more of themselves. Patek Philippe has retained the crown for highest price at auction, having previously secured a price of £5.8 million at a Geneva auction. Is it such a surprise that watches make such outstanding investments? The Patek Philippe brand itself pre-dates the turmoils of Europe in the last century. Ironically born from a displaced Polish soldier’s journey across Europe in the 1830s and 1840s, Patek Philippe weathered two World Wars and the subsequent Cold War, excelling despite the long shadow of the Iron Curtain. 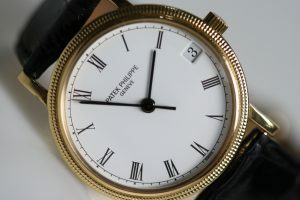 Indeed, while European war raged around Switzerland in 1943, Patek Philippe was developing the very same watch – the 1815- that fetched £9 million recently. If a timepiece brand can triumph over adversity to this degree, it has to be a given that Brexit won’t trouble their stock unnecessarily. The facts surrounding Patek Philippe’s success at auction houses are not hard to find. Neither are they a recent phenomenon. Finding recurring auction success in the brand’s home city of Geneva, the 1933 Patek Philippe Supercomplication pocket watch broke previous records breaker when it sold for US$24 million in 2014. Patek Philippe’s record speaks for itself, but could investing in a Patek Philippe futureproof your portfolio? We won’t make promises – nor should you seek any, but if you’re looking for a robust and reliable signpost, reach for the latest Knight Frank Luxury Investment Index. The news is very good for those who have – as well as those who are seriously considering – an investment in a prestige watch. The watch market has increased around 168 percent across the last 10 years. Tick tock – what are you waiting for? The implications of the great bank crash of 2008 still reverberate around the world – while some longstanding financial institutions crumbled to the ground, others clung on for dear life. The domino effect, that had started in the financial sector, tore through industry and commerce changing business practices for ever. While large corporations began to shed employees to survive, the prospects for traditionally-styled careers narrowed significantly. The driving force behind business found its fuel in the entrepreneur sector, as the financial crash met the blossoming of the digital age and gave rise to the business world as we know it today. The banks are still piecing themselves together, mired in ever-increasing regulation and closely monitored by the Financial Standards Authority. At odds with the speed and agility that’s required in today’s business place, banks are simply too slow and too unreliable. Entrepreneurs and small business owners are discovering that the financial solution that works best for them can be found in luxury asset lending. Luxury asset lenders, including central London pawnbrokers Hopkins & Jones, are seeing a 10% growth in business lending, year on year. Kris Parish, Director of Hopkins & Jones said, “As luxury asset lenders, we are well-versed in what the business borrower is looking for. They want to release funds quickly and in a safe and secure way that has clearly defined parameters. When borrowers come to us, we are able to sit down with them and talk them through the options available to them and explain the process of the loan. We build a relationship with our borrowers – akin to the traditional bank manager relationship – where we can get to know them, become familiar with their assets and secure the loan that they need in the timeframe that they need it”. Rather than approach banks or building societies for loans, savvy entrepreneurs are increasingly turning to luxury asset lenders to avoid bureaucracy and meet tight deadlines. Unlike traditional financial lending, luxury asset lending works by securing a loan against one set item, such as a classic timepiece like a Breitling, Rolex or Cartier watch. With such watches securing loans of many thousands, the borrower is able to ringfence the risk in order to secure funding. The luxury asset lending process is overseen by the Financial Conduct Authority, which ensures that both the borrower and lender are protected appropriately. The lender must make an appropriate and transparent valuation of the item – for example, a Patek Philippe Nautilus watch – and it’s key that the lender is accurate. If the loan cannot be repaid and the pawnbroker does have to sell the piece, the borrower is also protected -as much as they can be, in this circumstance. When the piece is sold by the lender, the lender takes back the price of the loan, the interest and the sale fee. Any excess profit that is left over after this point is paid back to the borrower, with the lender under obligation to demonstrate that they sold at a fair price. A far cry from the closed doors of the traditional banking world. Despite the admiration of the Rolex Submariner story, The Submariner was not the first water resistant watch Rolex crafted. The Rolex Submariner back story goes even further to the 1930’s when Panerai produced ‘tool watch’ a 47mm cushion-shaped Oyster case watch. This was fitted with a pocket watch movement and set up an affiliation with Panerai who at the time were specialists in diving equipment. The Submariner that we know today hasn’t changed enormously since its release at Basel watch fair in 1954. It has gone on to be not only become one of the most iconic timepieces in the world, but also one of the most desired and emulated. Between 1953 and 1954 three different versions were produced, the 6200, 6204 & 6205 these all differed slightly. The 6204 was also produced in 1953 and had slight differences to the dial and crown. 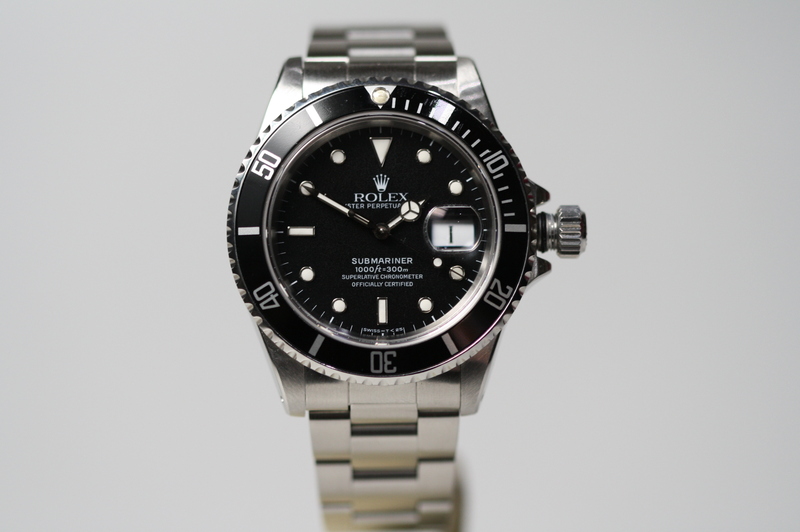 It was the first of all the models to display Submariner in small print on the dial this version also has a larger gap between the words oyster & perpetual and had a more elongated crown in comparison to the 6200. The crown was smaller and displayed a Swiss cross instead of the former ‘brevette’. In 1954 the 6204 was re-launched they made the submariner logo larger and was issued to the British Royal Navy. As the Jet D’Eau crashes down upon Lake Geneva, some of the most outstandingly stunning watches in the world are been painstakingly pieced together a few short kilometres away. Patek Philippe watches are considered by many to rank among the most prestigious watch brands in the world. As central London pawnbrokers, we have the luxury of examining many brands but Patek Phillipe stands out from other brands for their sheer mechanical brilliance and meticulous attention to detail. Not many things in life links Pope Pius IX to Queen Victoria, but it seems that their mutual appreciation of Patek Philippe timepieces does just that. Loans on Patek Phillipe watches are straightforward for pawnbrokers in London, like Hopkins & Jones – the quality underwrites the investment. 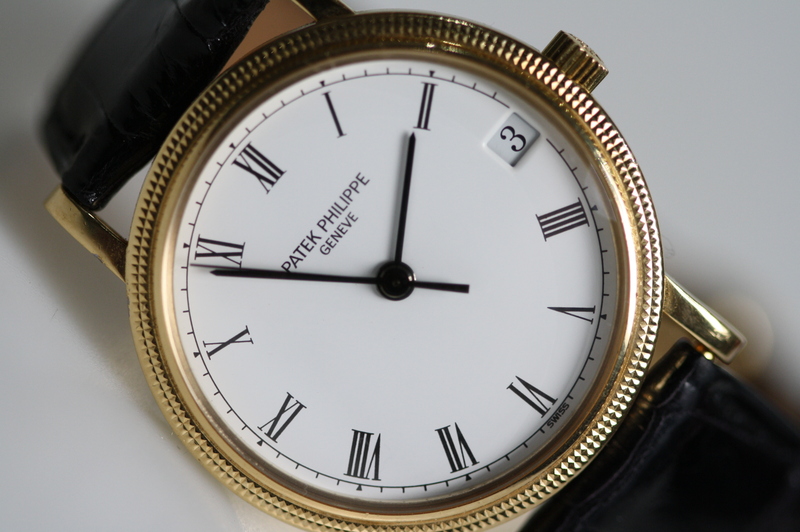 Yet what makes the story of the Patek Phillipe brand so fascinating? The Patek Philippe story stretches back beyond many other watch brands and speaks of a Europe of a different time. Antoni Patek had criss-crossed his way across Europe and Prussia, fighting in the Polish army, before settling in Geneva to make watches with Czech partner, Franciszek Czapek. Not all partnerships are meant to be and – following an acrimonious split in 1844 – Patek began to work with French watchmaker Adrien Philippe, the inventor of the key-less winding mechanism. A clever business partnership, the Patek Philippe brand is still considered to be one of the most important brands of luxury watches in the world whereas Czapek’s solo venture ceased trading in 1869. Since it’s conception in 1845, Patek Philippe has secured more than 80 patents for a great many of their movements, cases, hands, dials and appearance. Many of these patents have inspired and informed progress and development throughout the watch making community. Phillipe developed one of the greatest innovations in timepieces when he created the keyless watch, removing the need for a tiny – and very fiddle some – watch key. Integral to the watch, keys were no longer lost or easily broken. In addition to the double chronograph patent and the first self-winding wrist prestige watch in 1953, Patek Philippe have developed many innovations that it’s hard to believe are such recent additions to chronology. In 1959, the brand launch the time zone watch that made it possible to track times across the world while, in 1985, they developed a mechanism by which the ever-moving Easter date could be determined. One of Patek Philippe’s more mind-boggling patents demonstrates just how seriously the brand takes precision. 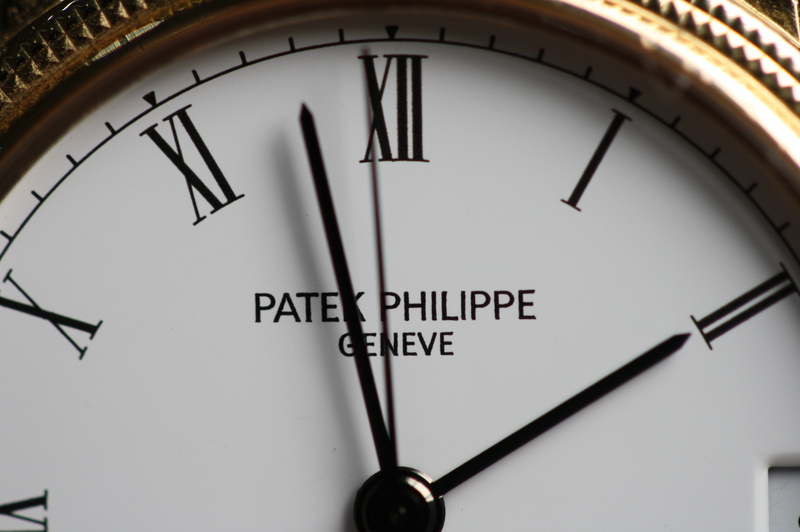 Philippe Patek expects their watches to last more than one life time. This means that – as well as a superb heirloom – this prestige watch is expected to deal with the idiosyncrasies of the Gregorian calendar. The Patek Philippe secular perpetual calendar means that the watch keeps the full 400-year cycle of the Gregorian calendar and – at the end of every century – the mechanism decides whether it is a leap year or not. This means that a Patek Philippe is precise to the second as well as the century at any given moment in time. Pawnbroking is significantly different from most other sectors in that it represents a secured loan market with relatively low average loan values. This adds to the financial alternatives within the loan marketplace and gives enhanced customer choice. The Financial Ombudsman Service receives very few complaints related to pawnbroking, which is an indication that the companies providing this service do so because it suits their clients needs and it also strongly supports the fact that the business transaction is conducted with the upmost integrity. FOS reported that in the year 2015/16 there was only 47 complaint cases which involved pawnbroking, of which 15 (31%) were upheld. In an effort to give a comparison of the cost of credit across various products a mechanism was put in place where the annual percentage rate (APR) had to be quoted. The APR calculation is misunderstood by many , whether politicians or members of the public. Fundamentally, a useful rule of thumb is ‘the shorter the term, the higher the APR’. An interesting point to raise is that, if banks were required to quote APRs on their unauthorised overdrafts, they would be significantly higher than pawnbroking APRs and well above the “high cost short term credit” (HCSTC)loan cap. The table below shows that bank overdrafts with various providers compared against a pawnbroking loan. The figure that is shown for the pawnbroker, in the example above, ranges between £6.75-£10, at Hopkins and Jones a pawnbroking store that is located in central London, the rates are a lower still with their rates tapering downward as the amount you borrow increases. With the majority of the loans in this London pawnbrokers being in the £1,000 -£9,999.99 bracket the table below shows the cost of borrowing of a £5000 loan which is redeemed at various points during the contract run, which is anytime up to including 6 months.